Can Upper Cervical Care Relieve Ben Affleck of Migraines? “Ben Affleck Out of Poker Championship due to Migraine” was the headline in the New York Post back in July of 2010. The star of oscar award winning Argo has struggled with migraines for years frequently showing up in the media. We see many athletes, artists, and celebrities getting migraine headaches including NFL giants Terrell Davis, Percy Harvin and Troy Aikman, tennis great Serena Williams, basketball superstar Kareem Abdul-Jabbar, and baseball stars Jonathon Papelbon and Johnny Damon; actors Ben Affleck and Whoopi Goldberg. Upper Cervical doctors frequently see a 90-95 % success rate with Migraine Headaches being eliminated. The other 5-10% at least see a reduction in the frequency and intensity of these headaches. And they are able to address the underlying cause safely and gently. So why doesn’t Ben Affleck get into an Upper Cervical doctor’s office and get rid of those migraines? Maybe he just doesn’t know about Upper Cervical. The answer is trauma. Physical trauma…such as car accidents, falls, sports injuries, childhood injuries and more lead to a tearing loose of the tissue that holds the spine in place. Which creates a weakness. Once that happens the spine begins to breakdown. It starts in the most movable and vulnerable area, the top of the spine where the skull and the spine come together at the Atlas vertebrae. This misaligned upper neck area creates pressure on the brain stem and veins that drain the brain. This is why pressure will begin to build up into the head often leading to headaches. The brain stem irritation also explains the nausea, vomiting, light sensitivity, etc that frequently goes along with Migraine headaches. These observations are now being demonstrated in the research as well. A recent case study is showing that after an Upper Cervical correction, a follow-up Phase Contrast Magnetic Resonance (PC MR) Study demonstrated changes in flow from the jugular veins that leave the brain. The subject of the case study obtained relief from migraine headaches by the end of thirty days. The PCMR exam continued to show improvement of the blood flow measured over the 16-week study period as long as the person maintained proper alignment of the upper neck. A larger study is currently being conducted in Canada on Migraines, Atlas misalignments and blood flow changes. 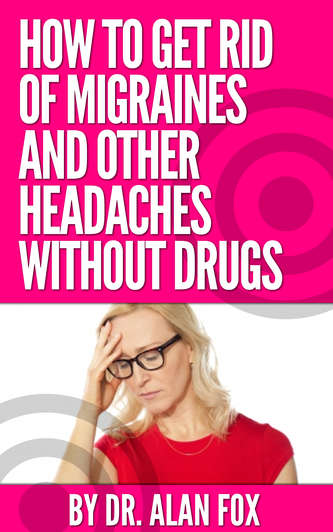 Are you losing parts of your life because of the effects of Migraine Headaches? Or do you have them “under control” with medications. At some point covering up the symptoms will lead to other problems. Or those meds won’t work anymore and you will have to get stronger ones. Isn’t it time to find the cause and eliminate it?